"Speculating on the Future: Improving the Health of Oregonians in an Uncertain Environment"
Lynne Saxton (Director, Oregon Health Authority). How can you get involved in improving healthcare for Oregonians? The Public Health Department has many boards and stakeholder groups. Volunteers are needed to participate in these groups! Check out the Advisory Board and Committees page on OHA website to learn how to get involved! Read broadly and deeply to contribute to informed discussion. Phone calls work! If you're in his district, contact Congressman Walden to voice your opinion. Click here for district map. "Population Health & Improvement: Post-Election Implications"
Bruce Goldberg, MD, Director of the Oregon Health Authority, provided an excellent overview of the development and implementation of Coordinated Care Organizations (CCOs) in the State of Oregon. Over 130 health profession students, faculty, and community members gathered in-person and on the web to learn about health system transformation in Oregon. After Dr. Goldberg's keynote, expert panelists discussed CCOs, providing thoughtful insight from each of their perspectives. How did Oregon compare in launching coveroregon.com, our state’s insurance exchange? What is Oregon doing to improve consumers’ experiences as they compare, purchase and utilize health insurance? These questions and more were answered during an event sponsored by the PSU & OHSU Institute for Healthcare Improvement Open School Chapter. 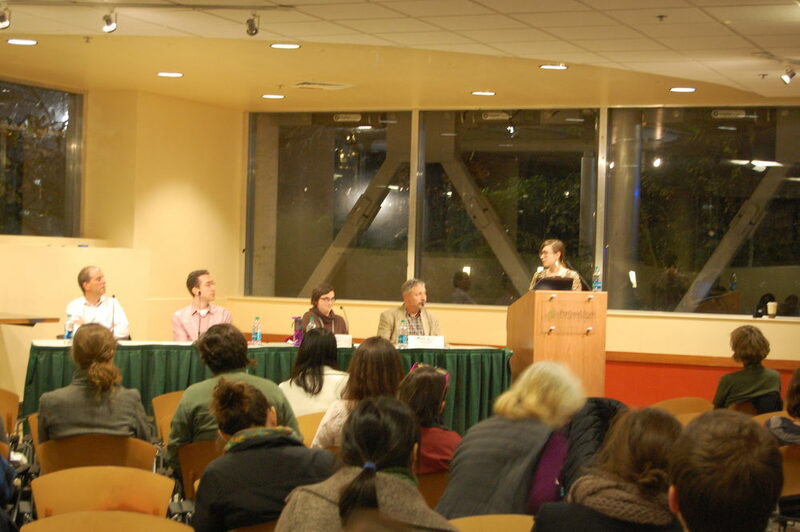 The Portland State University and Oregon Health and Science University Institute for Healthcare Improvement Open School Chapter hosted an interdisciplinary panel discussion highlighting several ideas for students, community members, and professionals to get involved in Health Care Transformation. Dr. John Santa provided an excellent overview of how Consumer Reports does comparisons, and why and how comparisons are important to consumers. Attendees witnessed how much variation there is in the health care system and how the industry has struggled to improve even when clearly unsafe practices are involved. Dr. Santa discussed overuse and waste in the health care system, especially in the context of Choosing Wisely, a national campaign for both doctors and consumers, which is targeted at explaining overuse and waste.